I’m an enduro newbie, despite my 20 years of racing mountain bikes. Having this “beginner” experience is at once refreshing, exciting and nerve wracking. I’ve raced countless cross-country World Cups, so on that scene I’m never out of my element. I know exactly what to expect, how to prepare my bike and body for any conditions, what to eat, how to warm up, how to manage my effort and how to ride every inch of the course. Some of that experience definitely trickles down to Enduro, but there are still a lot of unknowns and I have a lot to learn. Okay guys, you look pretty pro. How do I get my name on my jersey? Do I need goggles? 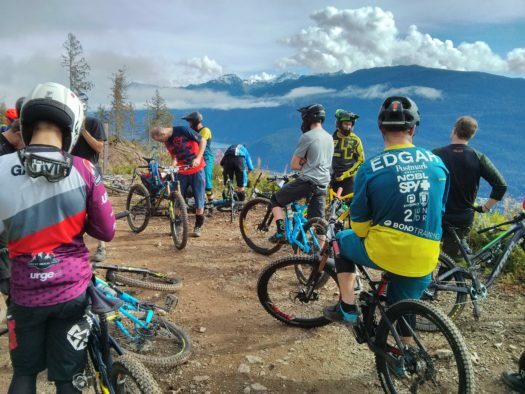 When I signed up for my first “real” enduro last year – the BC Enduro Series stop in Revelstoke – I was extremely anxious and uncomfortable – something I haven’t felt with racing in forever. It was hard to manage those emotions! It gave me a renewed sense of empathy for everyone who is not a career athlete, something I guess I forgot along the way. Everything about the Revelstoke enduro was out of my comfort zone – I was by myself, the bike was different, I didn’t know anyone, I was unfamiliar with the gear, I didn’t know how the logistics worked, and the riding – the riding was WAY out of my comfort zone! Perhaps with Revy I chose the wrong race as my first one, but in the end it was an awesome, at times frightening experience. 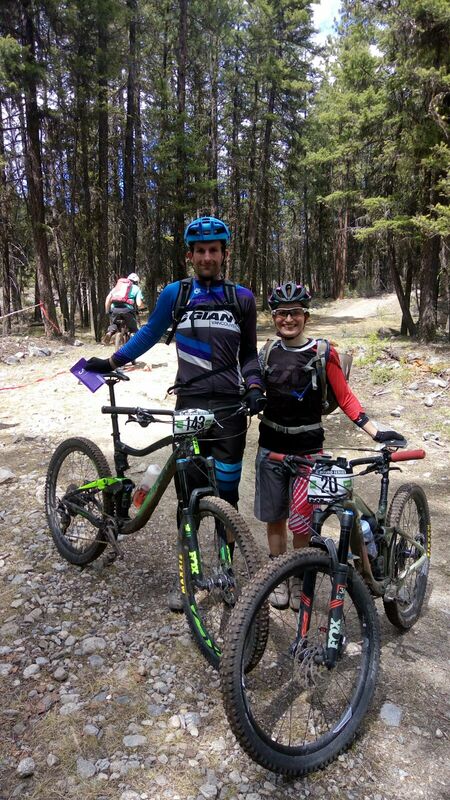 Last weekend, for my second BC Enduro Series race, I chose more familiar terrain and I brought a buddy. These are two things I’d recommend for anyone who is not feeling overly confident about their first enduro. Being at least a bit acquainted with the trails you’ll be racing is helpful, as you’ll know the lay of the land, the style of riding, and best of all, you may even have ridden some of the trails before. Your buddy doesn’t necessarily have to be an experienced enduro racer either, as feeling clueless with someone else is always more comforting than feeling clueless by yourself. I brought Ryan, who I’d pretty much talked into doing the race with me against his will. I used all my powers of persuasion, stopping short of using the “Do it for me” card, because we all know there are only so many of those available in a relationship. But I finally did convince him. After all that arm-twisting, I think he enjoyed himself a little! We visit Penticton a couple time a year at least, so we know the Three Blind Mice trails quite well. 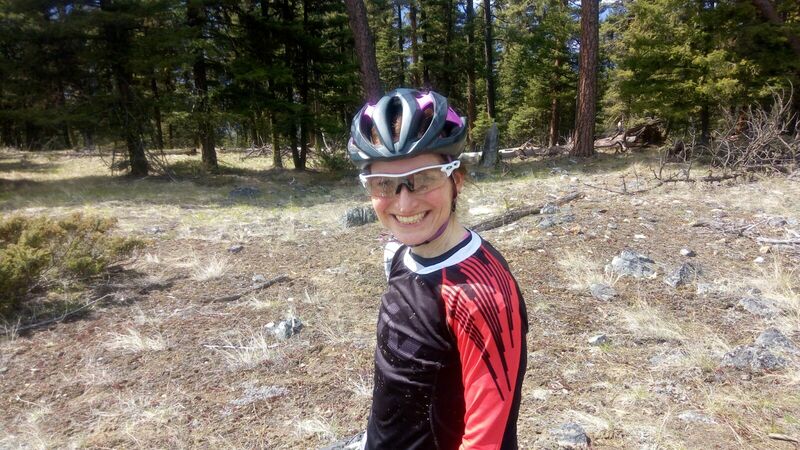 The riding there is really fun – flowier, faster, rockier and drier than the trails on the coast and the views of Okanagan Lake are always spectacular. The Mice is a labyrinth of singletrack with new trails seemingly appearing every time we ride there. 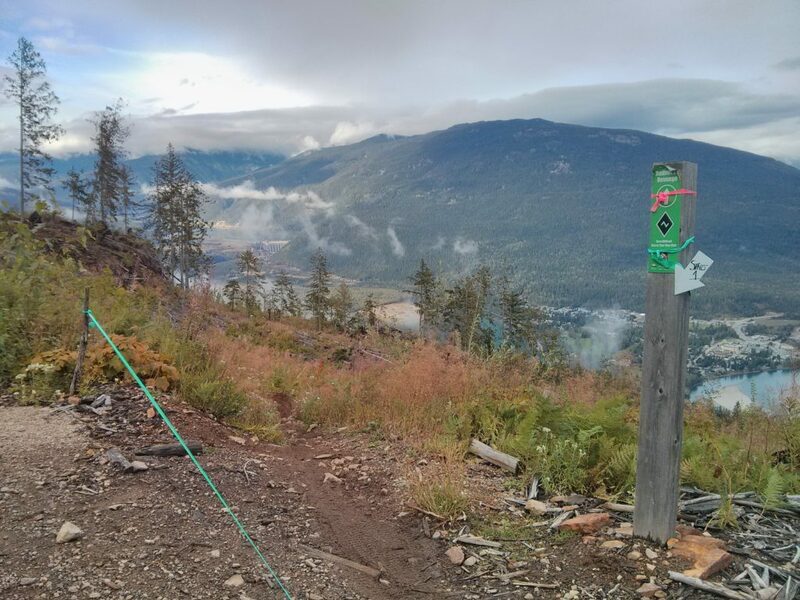 The Penticton Area Cycling Association (PACA) has done a great job of developing the trail system with building, maintenance, signage and advocacy. PACA superheros Linnette and Shaun. 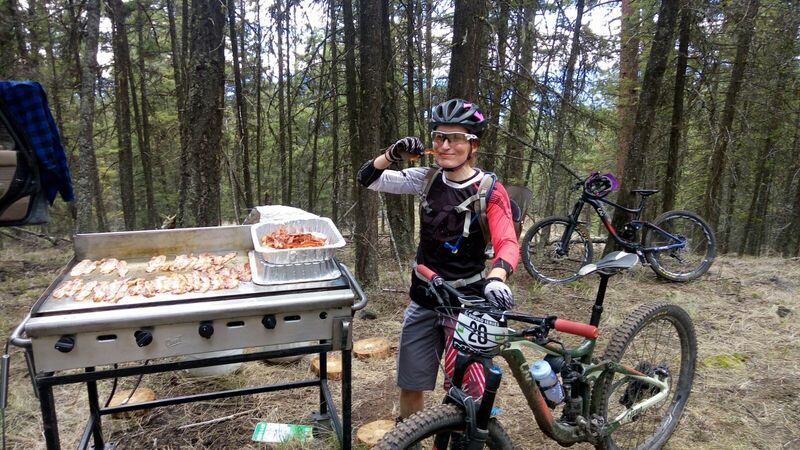 Linnette is a Liv Ambassador & Shaun provides the bacon every year here for the race! In enduro, the course is typically not released until shortly before the event. This is done purposely to keep riders from being able to pre-ride too much and gain advantage over non-locals or people who don’t have the luxury of riding the area a ton. It obviously also lessens the impact on the trails. Often there are also “secret” stages that are kept under wraps until the day of the race to test riders’ true raw riding skills. These stages are never super gnarly and don’t contain any big unmarked obstacles, because that would be dangerous. If you want to take your race really seriously, you’ll need to spend the day of the course release pre-riding each stage as much as possible. This will usually involve shuttling, because if you ride all the big climbs, you won’t have time to fit in many runs, plus you’ll be tiring yourself out unnecessarily before the big day. Ryan and I chose not to shuttle, since I needed to do a three-hour endurance ride, as per my XC training program. However, it would definitely have been beneficial to our race times if we had ridden each stage more! More importantly, riding each trail at least once is also a safety measure. You’re never going to memorize the trail after one run, but at least you’ll remember the highlights and have a sense of the terrain. Race day was a beauty – mostly sunny, just the right temperature. This time we did shuttle (thanks Jeanine!) to the top of Stage 1, a blind stage, which I’d guessed correctly as Arawana Beer Run. Ryan and I had ridden this trail once a couple of years ago on one of our exploratory adventures. 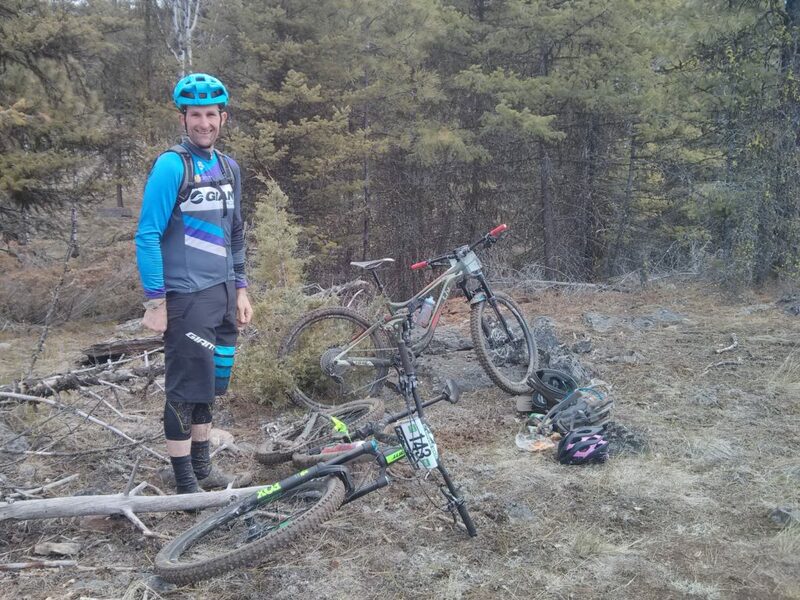 The stage was fast and relatively smooth – a great way to get into the flow of what ended up being a very fun day. Even Ryan admitted to having a good time. 4. Ride Fast (while still achieving the above). Even though I’m not expecting to do a ton of enduros this season, I think it’s still important to have some good gear. I chose to descend with a full face helmet, even though it’s not required if you’re over 21. 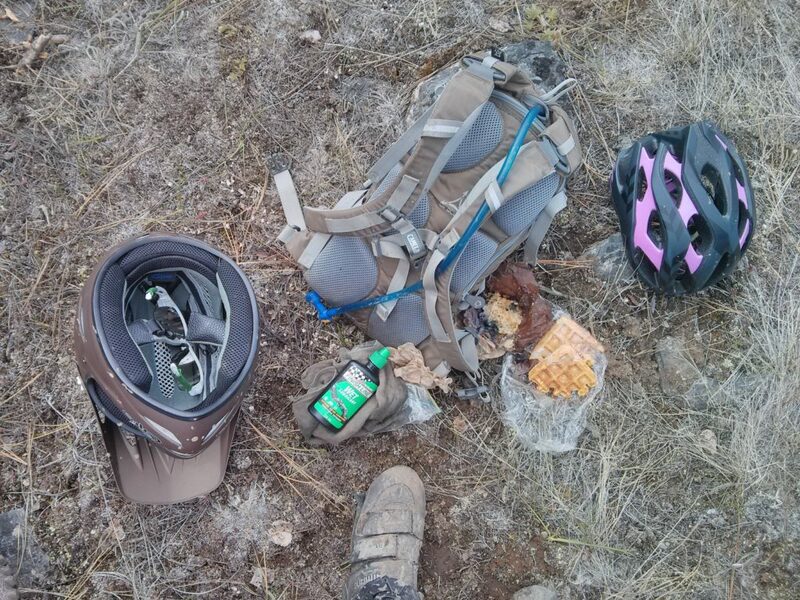 I packed a half shell for the climbs. I also wore low profile elbow and knee pads and splurged on a fancy undershirt with some light built-in padding on the shoulders, sternum, ribs, etc. 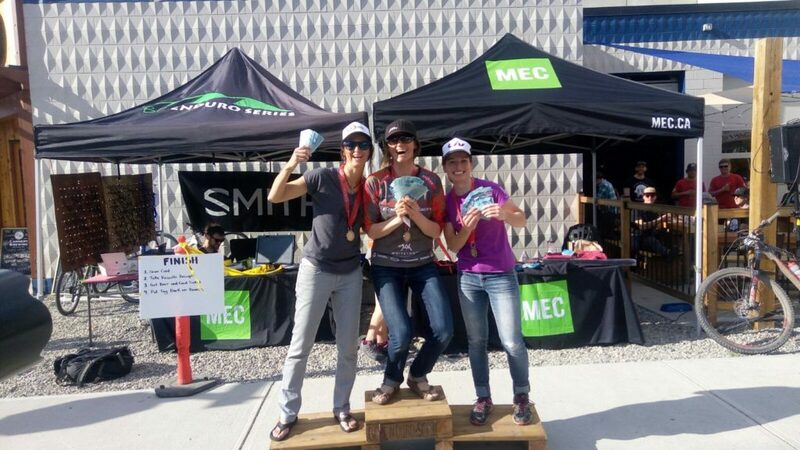 The race finished with a mellow pedal through vineyards along the KVR to Cannery Brewing in downtown Penticton, where organizers had shut down a block of the street just for the after party. 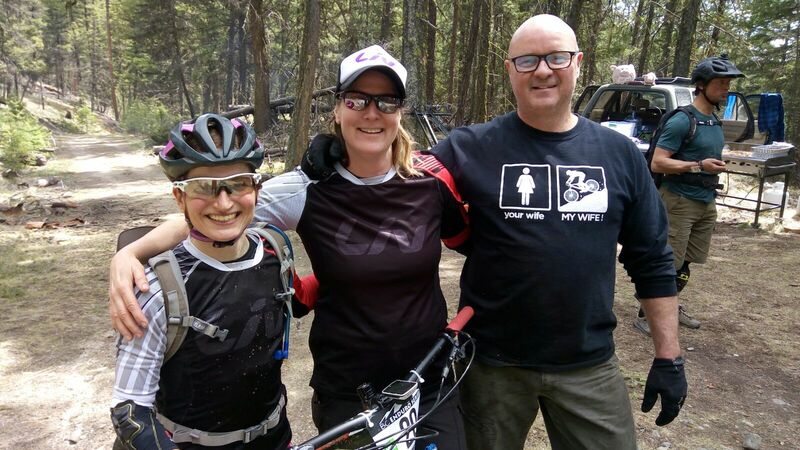 One of the things I enjoyed most about the event, besides the amazing trails, was the friendly grassroots vibe – something that’s kind of rare at World Cups these days! I’m definitely hoping to fit more enduros into my season this year. 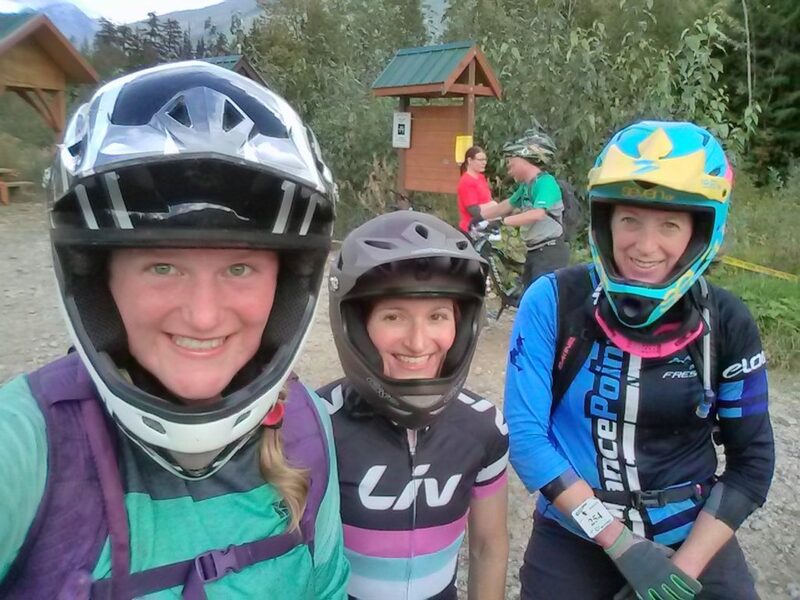 I’ve come to realize an enduro is essentially one big guided and supported group ride. It’s the perfect way to discover a particular area’s very best trails and you get to ride them with a bunch of other cool people. Read the BC Enduro Penticton event recap on pinkbike.com here.